anniversary of HH the Amir Sheikh Sabah Al-Ahmad Al-Jaber Al-Sabah’s ascension to power. 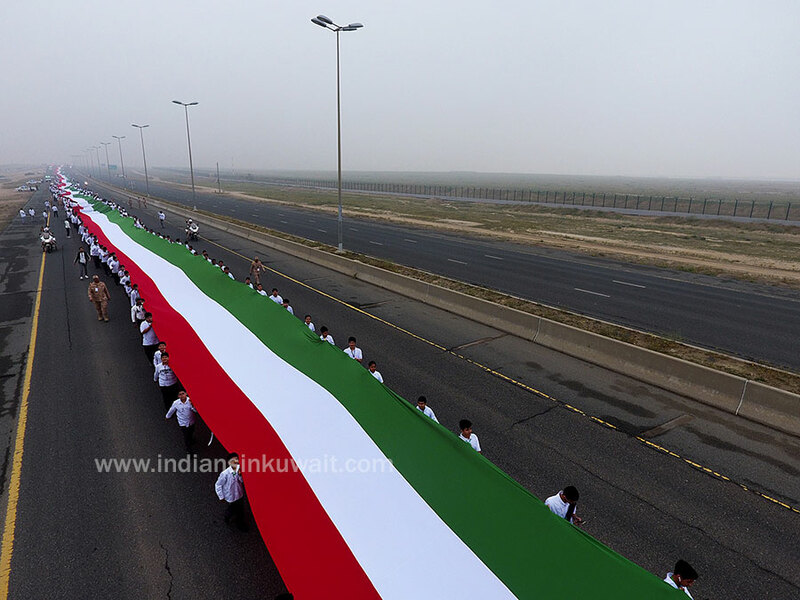 More than 4,000 school students and teachers carried the 2,019-meter-long national flag to claim a place in the Guinness Book of World Records, as part of the Kuwaiti celebrations of the 58th anniversary of the Independence Day, at Mubarak Al Kabeer Educational Directorate at the Ministry of Education. The ceremony was held under the auspices of Minister of Education and Minister of Higher Education Dr Hamid Al Azmi, with the participation of Ministry of Defence, Ministry of Interior, Civil Defence and international arbitrators.